This past Saturday I, the crazy bunny lady, had the honor and privilege of having a Folk Art Fusion play date with my local guild members/friends. I love that they all like to have fun and wore their bunny ears! 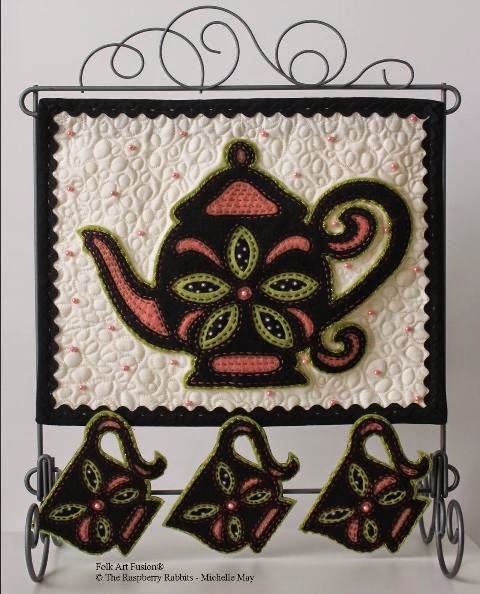 My playmates learned to make my "Spot of Peppermint Tea" quilt from my book, Fabled Fusions. We had lots of fun and I think they all enjoyed learning something new as we had our adventure down the rabbit hole. It was a most delightful day for me as I truly love teaching and sharing this technique with others. The week prior to our play date, was our monthly guild meeting. Here is the show and tell from that night. This sweet lady, Anna Newman, was visiting one of our members. She lives in Canada and knitted this fabulous sweater! If it was just a little bigger, I would have bought it from her on the spot! I wish I knew how to knit. Maybe one day I will learn. Marly shared this table topper. She will be going back to Minnesota soon. I wish she could stay year round. She is just so much fun and I have enjoyed getting to know her this year. She also shared this piece, which will hang in the local library as part of the nursery rhyme art quilt challenge. So cute! Holly, Marly's DIL is a retired Marine. She has a craft shop on base and she shared some pieces she made for her shop. Holly is full of positive energy, joy and is sooooooooooooo much fun to be around! 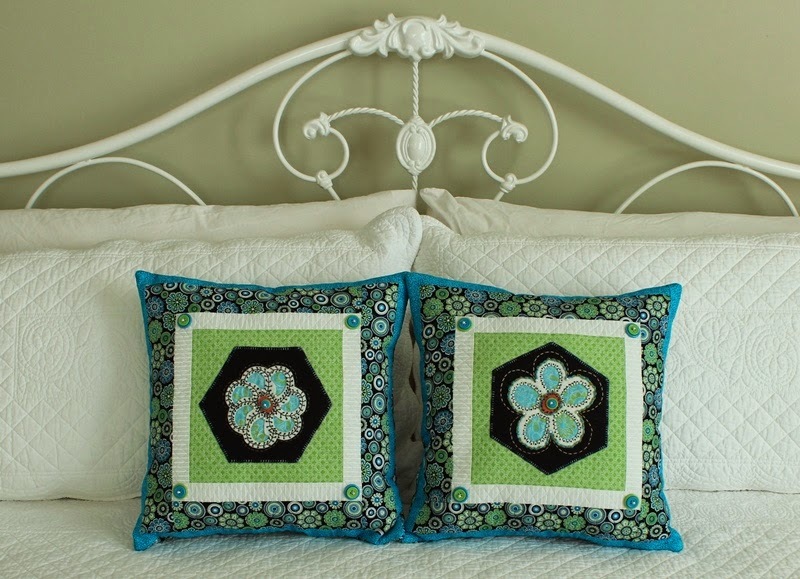 Isn't this a cute idea to hang little quilts? She puts a yo yo onto a curtain clip. Cool! Linda is the queen of cool bags! I loved this one. It carries your iron and then unfolds to be an ironing board at a play date! How cool is that!!! She also shared this little bag, which I loved. I might have her make me one as I have zipper phobia. Last, Linda shared this quilt top she finished. I love the green and blue together and think the red really made the whole thing pop. Sandy shared this scappy quilt she made for her daughter. 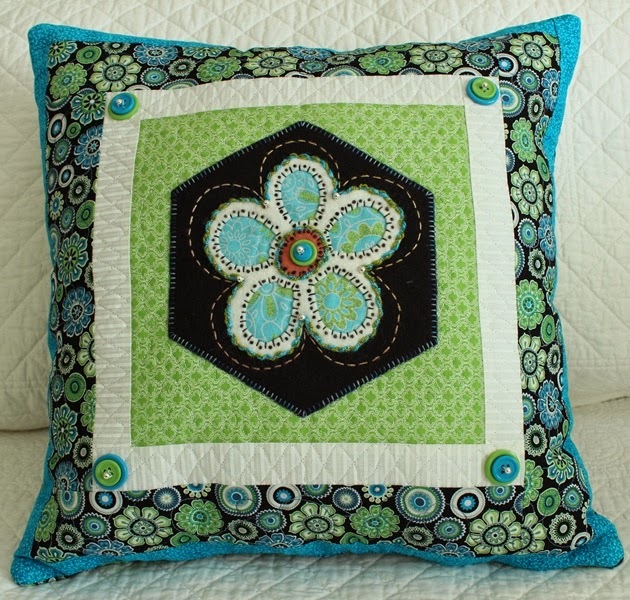 Her daughter loves scrappy quilts. Barbara shared this little table scarf. Someone said it could be used as a ceremonial scarf, so Barbara played along. FUNNY! Our fearless President, Vicki, shared a new purse she made. The morning after our last meeting she had heart surgery! She is doing great and looks great. We are all so happy she is ok and doing well. Vicki also shared this adorable critter quilt top. 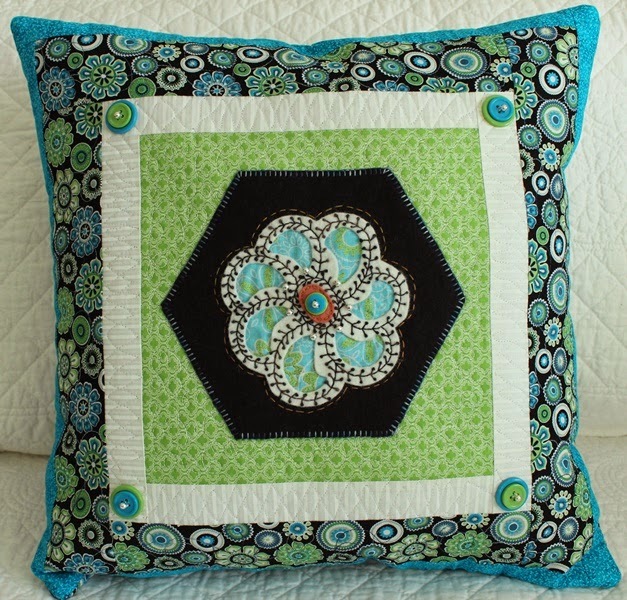 She is a long arm quilter and will quilt it when she has healed from the surgery. this totally awesome latte quilt! 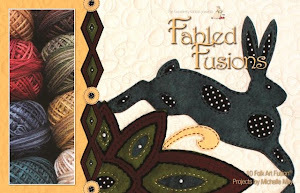 Love all those batiks! Lori also made a piece for the nursery rhyme challenge at the library. Great job Lori! Finally, she shared this sweet cat quilt. I love all the green! Pam shared her quilt for the nursery rhyme challenge. It's hard to see from my photo, but used some wonderful glittery threads to stitch this. I love it! Here Kathie is saying, "See Hansel and Gretel right here?" "They are hiding in the woods!" Kathie is a total riot. This woman makes me laugh at every single meeting. She is so much fun! Carolyn (is this Carolyn? 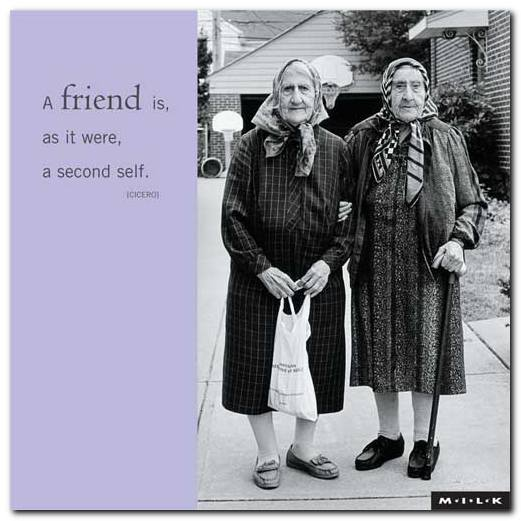 I'm second guessing myself at the moment. If this isn't Carolyn, somebunny tell me who this is) shared her nursery rhyme quilt. I love it! She also shared her coffee quilt. The colors are wonderful! Our super fun VP, Gerri, shared her nursery rhyme quilt. It's says, "Peter, Peter, Pumpkin eater had a wife and ...." Oh my, what did Peter do with his wife? hee,hee,hee. Great job Gerri! This is fun! Finally in our show and tell, Betty shared her nursery rhyme piece. She was working on the binding at the meeting. Like us all, we work up until the last minute when we are having so much fun! Hugs and see you back here Wednesday! 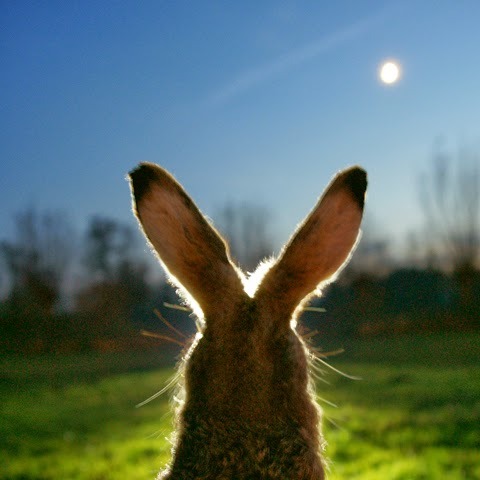 Hoppy Friday! Did you have a good week? I did. Of course it flew by like it normally does, but so many things to be grateful and happy about. So many things I have thought about with this birthday. So many things I have learned over the years and so many things I find I really just don't care about any more. Funny how what was important at 26 is meaningless at 46. 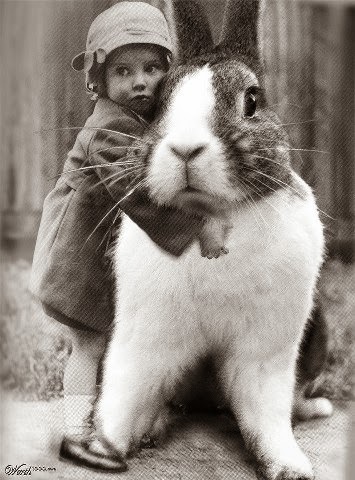 One thing that never changes in all the years is my deep, never ending love for bunnies. It's been forty years that I have had this love affair with these little creatures. It's always an adventure with them. A joyous, happy, heart breaking, wonderful, precious adventure. This was a quilt I really liked at the Mid Atlantic Quilt Festival. 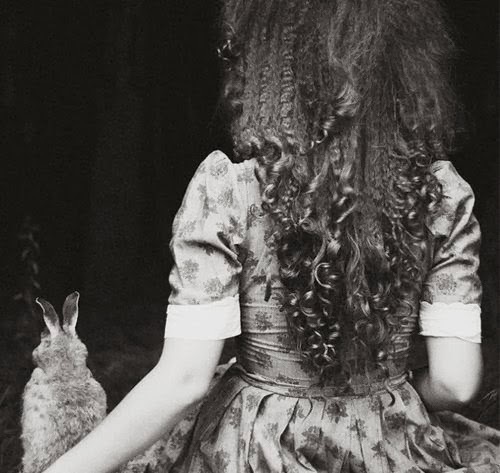 I'm a fan of Alice in Wonderland (like you couldn't guess). "Off with her head." I feel like I want to do that some days when I look in the mirror, but then I smile and remember the adventures that got me to this, my 46th year. Fellowship of the Flowers - Week 13 and the March project! This week the daisy makes another appearance. This is the second of two daisies which will be used in the April project. I enjoyed stitching this one. Well, I must say, I'm having fun stitching all of them. Remember, you can join the Fellowship of the Flowers anytime! Just click on the tab above for all the information. 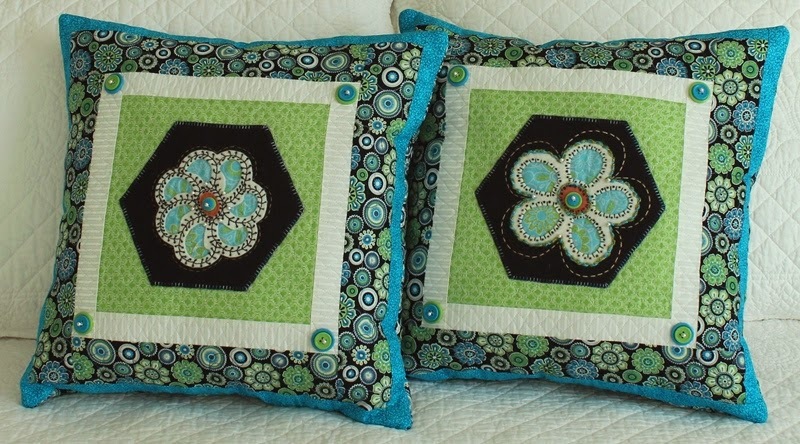 Those who are already friends in the Fellowship of the Flowers will be receiving the instructions today to make these pillows. 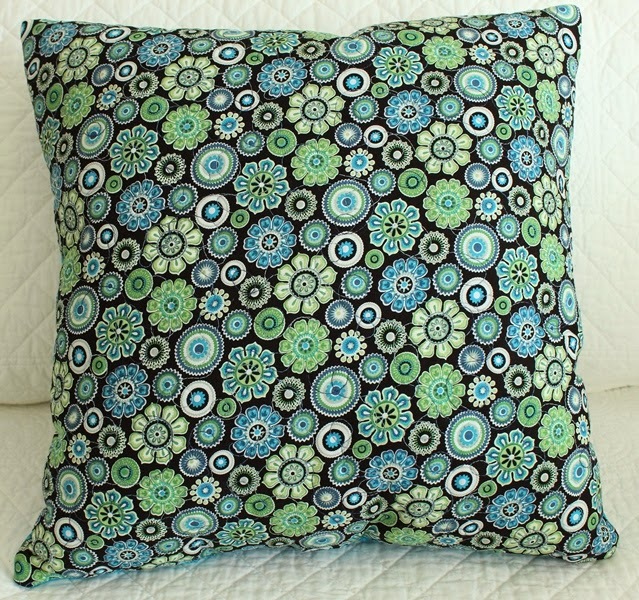 Yep, our March project is pillows! Every month will be a new project. Not every one will be big or small. On to another week of wonderful quilts from the festival. I must say, I have enjoyed seeing all of these again too. 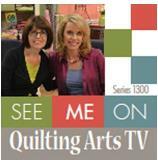 Also, if you get Quilting Arts TV in your area, you will see me in episode 1309 which aires this week. I'll be sharing the flower, which is used in several projects in my book. Look at all that hand quilting!!!!! OH... MY... GOSH!!!! This lady is from my home town. These borders are soooooooooooo cool! Ok, I hope you have enjoyed these. Which one was your favorite? They are all pretty amazing aren't they? I'll see you back here on Wednesday for Fellowship of the Flowers. Have a super sparkly day! Hoppy Friday! Is it Spring yet?